Known as the “City of Angels” but sometimes called “La-La Land,” Los Angeles CA is a vibrant center of business and entertainment. In terms of economic productivity, it’s a major world player ranking behind only New York and Tokyo’s GDPs. From the beaches to the mountains and everything in between, Los Angeles CA really has a lot to offer. 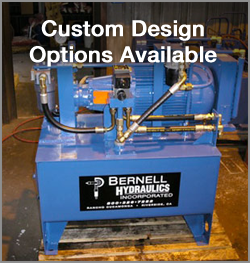 Whenever you need hydraulic parts for a project in Los Angeles, turn to Bernell Hydraulics for help.